Posted Jan 03, 2018 by Eds. John Bellamy Foster, Editor of the internationally reputed Monthly Review published from the United States, and Professor of Sociology at the University of Oregon, is one of the leading Marxist thinkers in the world. Best known for his contributions to Marxian ecology, Foster’s other areas of interest and scholarly engagements include writings on political economy, Marxist theory, capitalism, socialism, and environmental sociology. Before turning his focus on Marxian ecology, his primary engagement was with analyzing the capitalist economy and its crisis. Monopoly Capital, a classic Marxian work on capitalism by Paul M. Sweezy and Paul Baran, had a profound impact on Foster in his early years. In 1986, he published The Theory of Monopoly Capitalism: An Elaboration of Marxian Political Economy on the basis of his PhD dissertation. Foster’s association with Monthly Review began in 1989 when he became a director of the Monthly Review Foundation Board and a member of the magazine’s editorial committee. In 2000, he became its co-editor along with Paul Sweezy and Harry Magdoff. Since 2006, he has been its Editor. Founded in 1949 in New York, Monthly Review is an independent socialist magazine renowned for its analysis of capitalism and political economy. As Foster says, “Monthly Review was initially established as a kind of holding action for the Left in a time of defeat after defeat” in the U.S. With the publication of works such as The Political Economy of Growth by Baran, Monopoly Capital by Baran and Sweezy, The Age of Imperialism m by Magdoff and Labor and Monopoly Capital by Harry Braverman, Monthly Review became a center for the economic critique of the system. In the last couple of decades, it has become known for its contributions to eco-socialism also. Today Monthly Review attracts contributions and attention from some of the most outstanding critical thinkers across the world and is widely revered for its “uncompromising resistance to the status quo” and “unswerving support for the revolutionary struggles of humanity”. Apart from numerous articles and essays, Foster’s most notable published works are Marx’s Ecology: Materialism and Nature (2000), The Great Financial Crisis: Causes and Consequences (with Fred Magdoff, 2009), The Theory of Monopoly Capitalism: An Elaboration of Marxian Political Economy (New Edition, 2014), and The Ecological Rift: Capitalism’s War On The Earth (with Brett Clark and Richard York, 2010). In his first full-length interview to Jipson John and Jitheesh P.M., independent journalists based in New Delhi, Foster speaks on a wide range of topics that are significant for our times—contemporary U.S. politics and the Trump phenomenon, Bernie Sanders’ emergence and the state of Left movements in the U.S., the decline of the U.S.’ global hegemony, Latin American socialist experiments, the Chinese development model and socialism, lessons of the Soviet socialist experiment, contemporary capitalism, the relationship between Marx and Engels, and the relevance of the concept of imperialism. In the second part of the interview (to be published in the next issue), he speaks on Marxian ecology and metabolic rift, Marx and Romanticists on nature, capitalism and climate change, technology as a solution to climate change, the gravity of climate change and climate change deniers, nation states and the sharing of the responsibility for climate change, Gandhism and hopes of sustainable development, imperatives of a sustainable and socialist alternative, capitalism and increasing inequality, the emergence of right-wing forces all over the world, the transcendence of capitalism and the possibilities of revolution, the legacy of the October Revolution, and the contemporary relevance of Marxism. What is this Trump phenomenon all about in the U.S.? Now Donald Trump occupies the presidential post of the world’s most powerful country. How does his rule affect the domestic and international political landscape? The Trump phenomenon is really about the crisis of liberal democracy in the United States and throughout the world capitalist core. This is a product of the structural crisis of capital in our time, evidenced by stagnation, financialization, and monopolization, and by the activation of all of capital’s absolute limits, most clearly with respect to the environment. The structural crisis, which has been building for decades, has now evolved to the point that we are seeing crisis of the liberal-democratic state. Neoliberalism, which has reached its limits, is giving way to neo-fascist tendencies, which threatens liberal democracy itself. In the U.S. these conditions are worsened by the decline of U.S. hegemony in the world economy. Trump’s political base, as in all movements in the broad fascist genus, is the result of an alliance between an enraged, reactionary, predominantly white lower-middle class (or petty bourgeoisie) and the very top echelons of monopoly (today monopoly-finance) capital. The alt-Right political phenomenon, as it is called, is now in its early phases, though it occupies the White House. It was aggressive in its early months, with Steve Bannon as Trump’s chief strategist, but experienced a push-back from liberal elites and the deep state. It has been stabilized in recent months with Bannon out and generals such as John F. Kelley taking charge of who has access to Trump. Trump himself, though, is volatile, acting with impunity, and not easily controlled by Kelley or anyone else. Bannon, as head of Breitbart News, together with elements on the extreme or neo-fascist Right, is now organizing, quite successfully, to drive the less extreme, traditional Republicans out of office and to put in place outright neo-fascists/white supremacists like Roy Moore in Alabama. In a recent defense of Moore, Trump listed the military, the police, border guards, and the Second Amendment (the right of individuals to carry arms) as his four reasons, all pointing toward repression. All of this is shaking up the U.S. body politic. The effects of Trump’s rise on the mode of operation of U.S. imperialism are not huge, given that a Hillary Clinton presidency would have been a very hawk-like one. U.S. imperialism today is governed almost exclusively by strategies aimed at increasing U.S. geopolitical power as a way of countering its diminishing relative economic power in the world. Clinton was tied to what is called a “neoconservative” strategy directed principally at expanding U.S. power in the Middle East [West Asia] and along the perimeter of the former USSR [Union of Soviet Socialist Republics]—a policy first articulated in the George H.W. Bush administration and pursued by both Democrats and Republicans to the present day. This has led to increasing conflict with Russia and a New Cold War. The initial, distinctive strategy of the Trump administration was to create a kind of detente with Russia and to move away from the war in Syria and probably the conflict over the Ukraine, while going after ISIS [Islamic State], and then focusing on what was to be Washington’s real object: China, the growing economic power of which was considered the main objective threat to U.S. hegemony. This represented a shift in the U.S. global posture and a weakening of the Atlantic Alliance with Europe. It was for these reasons that Trump came under heavy attack for so-called Russia-gate (mainly from those who opposed any detente with Russia), and it was the conflict over this that has mainly put a check on his power. There are two things that are especially noteworthy here: (1) This is to be regarded as a conflict within the imperialist elites in the U.S.; (2) the Trump emphasis on a detente with Russia (a strategy that seems to have been developed by associates of Henry Kissinger, some of whom were connected to the Trump administration) with the goal of concentrating U.S. forces for a struggle with China—an issue that lies below the surface in present conflicts within U.S. foreign policy. Trump is, of course, more nationalist in his approach to trade, explicitly supporting protectionism, and more extreme in his attack on immigrants. All of this, though, was already present in neoliberalism and simply takes a more explicitly nationalistic form in Trump’s neo-fascist stance. The greatest worry at present is a growing irrationalism with Trump’s finger on the nuclear button. Bernie Sanders’ emergence in the U.S. political scene and the popular support he has got are attributed to the growing discontent against the capitalist economic policies and the popular support for alternative economic policies. This is generally ascribed to be a chance for the growth of left-wing politics in the U.S. What is the state of the Left or movements with communist orientation in the U.S.? Bernie Sanders certainly symbolizes the potential power of working class dissent in the U.S. He advocated social democratic politics of a kind reminiscent of the New Deal and associated, at least until recently, with the Scandinavian states. It is due to his influence, more than any other, that socialism is seen as preferable to capitalism by many young people in the U.S., and this extends to some inchoate belief in state regulation and even planning. The truth is there is a real hatred of capitalism among the younger working-class population in the country (the millennial), mainly due to the hardships they are experiencing directly: unemployment, low wages when employed, virtually no prospects for buying a home, a kind of debt peonage for those seeking higher education, inadequate and increasingly unavailable health insurance, the destruction of the education system as a whole and the greatest inequality ever seen in the country—with three men now having as much wealth as the bottom half of the population. Since the U.S. is democratic in form, plutocratic in reality, there is very little opportunity to translate any of this into radical politics within the electoral sphere. Sanders constituted a threat to the established elites through a re-emergence of a New Deal style politics. The ruling class was completely taken off guard by his campaign, and it took a while to shut it down, since the usual corporate media control was partly circumvented by social media. Eventually, the Democratic Party leadership was able to undermine Sanders’ campaign. The real crimes in the 2016 election, in this sense, were carried out by the Democratic Party on behalf of [Hillary] Clinton, not by the Trump campaign. All of this, though, has a kind of “legitimacy” within the plutocratic system. There is no possibility of legal redress against such actions taken by one of the two political parties. Political parties in the U.S. are not movement parties as in many parts of the world, but structures of power controlled by political elites and the ruling class, resembling Max Weber’s notion of the Honoriatorenpartei. Sanders, it should be noted, is a very different kind of politician from Jeremy Corbyn in the United Kingdom. Setting aside all the institutional differences, what divides the two is that Corbyn has an unimpeachable anti-imperialist record, while Sanders has always sided with U.S. imperialism and the U.S. military (though he is not completely uncritical). He cannot therefore be considered a true radical in global terms. There are, of course, anti-capitalist and socialist movements, even some of a revolutionary character, in the U.S., of various kinds, but they are small. Occupy Wall Street was one such movement. There is also an emerging eco-socialist movement called System Change Not Climate Change, which has a small but growing influence within a radicalizing grass-roots environmental struggle. There is the recent rise of the anti-fascist movement directed at stopping the growth of fascism. There are also other organized struggles taking place like Black Lives Matter. But there is nothing like a socialist mass movement or Left party in the U.S. at present. Probably the main “third party” is the Green Party, but it cannot even get on the ballot in probably the majority of States. Indeed, one cannot speak of movements with a “communist orientation in the United States”, given the long history of repression and crushing of such movements, particularly in the McCarthy era. There is an emerging Left, but it has no political clout in terms of “representative politics” and exerts its influence mainly in the other politics or the social movements. None of this should be downplayed, however. There are a lot of radical ideas developing in systematic ways and much of this is giving rise dialectically to radical praxis. The seeds of revolt are present in many places. People, as Fidel Castro once said, are volcanoes. There is no doubt that there will be growing revolts in the U.S., taking all sorts of forms, and what exists right now in the interstices of society may help engender a wider movement for the reconstitution of society as a whole. We also have to remember that because the U.S. is the center of the world empire—“fortress America”—radical dissent in the U.S., and anti-imperialist struggles specifically, whenever they occur, weigh very disproportionately in the world as a whole. They give hope to peoples in the periphery of the system. Anti-imperialist struggles in the U.S. have in the past slowed down or blocked U.S. imperialism and are felt as enormously liberating in the rest of the world; because it is understood that if there are revolts at the center of the system (what Jose Marti referred to as “inside the monster”), it means that the center likely cannot hold—and cannot hold on to the periphery. Do you think that American global hegemony is on the decline? Do you see a change in the world political landscape towards a multipolar world? The relative decline of the U.S. as a global economic power is clear and can be seen in the numbers. No one is inclined to call the 21st century an American century as they did for the 20th. But the U.S. descent is a slow one and carries all sorts of unprecedented dangers for the world. The U.S. definitely is in a less powerful position than previously with respect to production, but it is still successfully siphoning off much of the economic surplus (or surplus value) created in the periphery, via the actions of its multinational corporations and its hegemony over the global financial architecture. With respect to U.S. financial dominance, the key issue becomes continuation of the dollar as the hegemonic currency—which is threatened today mainly by the rise of China. Needless to say, the U.S. has by far the biggest military in the world and is capable of essentially destroying all of humanity. It controls, largely through the role played by its military sector in technological development, the most advanced technologies in the world. But all of this is slipping, and there is no likelihood of a smooth transition to a multipolar world in these circumstances. Periods of hegemonic instability in the capitalist world economy in the past have always been periods that gave rise to world war. We are in what is in many ways an unprecedented period globally, but it would be an enormous error to play down the dangers, which could be catastrophic for humanity. Already we are seeing a situation in which a race for accumulation and economic power is negating any attempts to combat climate change—even though this threatens the continuation of civilization (in the broad sense) and human life itself. How do you locate the Latin American socialist experiments that began earlier in Cuba, later in countries like Venezuela? What made possible such experiments? How “socialist” are they in character? Is a counter-revolution now happening in these countries? The revolutions in Cuba and Venezuela occurred in very different periods and under very different conditions. But they are both revolutions against imperialism and capitalism and both have been subjected to fierce counter-revolutionary actions supported by Washington. Both are genuine socialist revolutions. Leo Huberman and Paul Sweezy in their Cuba: Anatomy of a Revolution were the first to declare that Cuba, following its revolution, would go socialist. My views on Venezuela are evident in an article that I wrote on “Chavez and the Communal State” for the April 2015 issue of Monthly Review. 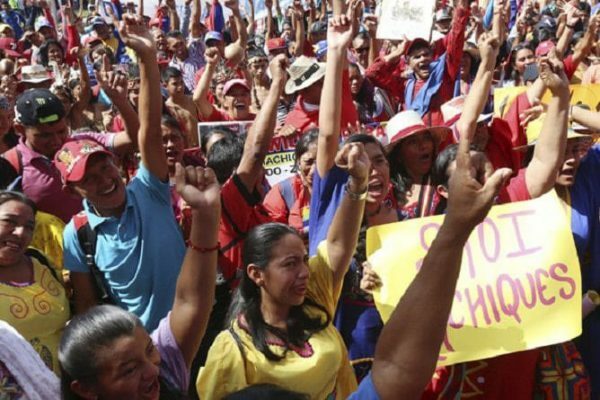 Also significant is Bolivia’s movement toward socialism, and the leadership of Evo Morales. Monthly Review in responding to such revolutions adopts the C. Wright Mills principle, enunciated with respect to Cuba, in his Listen, Yankee, we do not worry about such revolutions, and we worry with them. The presence of counter-revolutions is inevitable wherever revolutions take place, and in Latin America the flames of counter-revolution are always stoked by the U.S., which seeks to retain its centuries-long hold over the region. There are a number of debates on what constitutes the Chinese model of development. The Chinese system has been called market socialism by a number of economists. A number of liberal intellectuals attribute the economic success of China to the capitalist road it has chosen since 1978. Is China really on the socialist track? It is possible to take a number of different approaches to China from a socialist perspective since the conditions that it represents are so entirely unprecedented. The situation in China is a product of the Chinese Revolution, and its evolution combined with the accelerated globalization of the capitalist economy in the 1990s. Those who want to attribute the economic advance of China to capitalism, in the usual sense in which this is understood, are forgetting a number of things, namely (1) how capitalism, via imperialism and unequal treaties, held China back for centuries; (2) the Chinese Revolution under Mao Zedong, which was an absolute necessity; (3) continuing restrictions on the alienation of land, giving a different role to agriculture in China and stabilizing the society; (4) the continued rule of the Communist Party, and (5) a still large state sector with a considerable role for planning in the economy. What has made China’s success possible thus far is the fact that it has broken out of the usual imperialist trap and is able to chart a national course of development. The economic leap forward and the infrastructural basis for what happened were established in the Mao period. The later shift toward the so-called “capitalist road to socialism” meant a vast development of private property (rooted in the confiscation of state property), and huge inequalities in society. This was a kind of counter-revolution within the revolution, but what resulted was a unique path. It required as its basis an alliance of sorts with global capital, making China the world hub for the global labor arbitrage of multinational corporations, which shifted their production platforms to China in particular in order to exploit low unit-labour costs coupled with huge economies of scale. Meanwhile, the Chinese state has used its share of the proceeds to promote urban development at a frenetic pace and to provide infrastructural development that benefited multinational corporations doing business there. China’s huge migrant labor population has provided a reserve army of labor that has kept wages low. Where all of this will end, I don’t think anyone knows, and rather than talk simply about capitalism or socialism, though this remains crucial, Monthly Review has shifted to trying to understand the specificities of the Chinese model with all of its contradictions within contradictions. If China, which is indisputable, has taken what it has called the capitalist road to socialism, one is nonetheless forced to ask, as one would of other societies, what remains distinctive about the Chinese social formation, and what contradictions could lead to change in directions not now anticipated? It would be absurd under present circumstances to say that China is on the “socialist track”, given the deep hold of the capital system on its economy and the growing inequality. China would thus need a further popular revolutionary movement aimed at the reconstitution of society as a whole if it were to move closer to socialism, given its present levels of class inequality and the commodity structure of society. Still, one thing that is clear is that there is a lot of ferment at the bottom in Chinese society. It is a society on the move. Revolutionary change lies in its past and may reappear in its future. Nor can we anticipate the effects of larger global factors such as the developing geo-political struggle between the U.S. and China—China’s “One Belt, One Road” and the U.S. effort to re-establish a unipolar world. Such global struggles inevitably have domestic ramifications. The present as history is as complex in relation to China as it is with respect to the U.S. The decline of the Soviet Union was a big blow to socialism in theory and practice. What were the reasons for the decline? What does this decline teach or what is there to learn for not making the mistakes again in new versions of socialist experiences in the new century? The USSR was the product of a genuine socialist revolution based on a proletarian-peasant alliance and led by the Bolsheviks. It represented in many ways a major historical advance. It took place, however, in a largely underdeveloped country surrounded and invaded by advanced capitalist powers in its early years and subjected to a hostile Cold War in its later years. The revolution, partly due to these unfavorable circumstances, was undermined from within, beginning in the Stalinist period. What emerged out of that phase, in my view, was what could be called a post-revolutionary society that was far removed from the classical socialist goal of a society governed by the associated producers. In the end the society entered a period of economic stagnation, partly brought on by the slowdown in the world economy as a whole. The ferment that this generated could under certain circumstances have opened up social forces from below and a reconstitution of society. Instead, it was the nomenklatura class at the top that decided the matter in the Mikhail Gorbachev period. Its aspiration was to reconstitute itself as a capitalist class with the help of the West. The result was a destruction of the entire system in which the population played almost no role and was betrayed. State property was expropriated in what was undoubtedly one of the greatest instances of theft in all of history. Meanwhile, at the instigation of the West, led by the U.S., shock therapy was introduced, destroying the entire economic infrastructure and massively reducing the economy even of Russia to only a fraction of itself. The USSR itself was broken up into a number of separate states. It was a great victory of the capitalist West over its greatest historic challenger. The worldwide consequences of the dissolution of the Soviet Union were enormous, allowing an expansion of the U.S. empire and weakening revolutionary movements and states around the world. One of the most serious consequences was the loss of planned economies, since these might have taken a leading role in the worldwide effort to combat climate change—something that capitalism has proved itself incapable of doing. The Russian Revolution today has many positive (as well as negative) lessons to teach. It represents the first great socialist revolt in a centuries-long movement toward socialism. Just as capitalism itself took numerous centuries to develop, it is now clear that the movement towards socialism is a long struggle, with historic victories, followed by heartbreaking defeats, leading to a renewal of the struggle. Marxist political economy is a major area of your interest. How do you define the nature and character of contemporary capitalism? Has capitalism reached a dead end as argued by economists like Prabhat Patnaik? Since 2006 I have been arguing that we have entered a new phase of the monopoly stage of capitalism, namely monopoly-finance capital, or global monopoly finance capital, in which the main countervailing factor to stagnation in the core of the system is financialization, which necessarily results in financial bubbles that eventually burst. This was the argument in The Great Financial Crisis published by Fred Magdoff and myself in 2009, two months after the collapse of Lehman Brothers. The argument was extended three years later in The Endless Crisis, which I wrote with Robert W. McChesney. Samir Amin and Prabhat Patnaik, whom I consider the greatest living theorists of imperialism, argue essentially the same thing. The whole line of argument is the product of a theory of capitalist development that goes back to Paul Baran and Paul Sweezy’s Monopoly Capital. Today, as Sweezy declared in 1997, the political economy of the advanced capitalist states is characterized by stagnation, monopolization and “the financialization of the capital accumulation process”. Moreover, we are seeing a new phase of imperialism with the operation of the global labor arbitrage where multinational corporations site production facilities in countries with the lowest unit-labor costs, thereby increasing the overall rate of surplus value globally, and disarticulating the economies of the Global North (which are no longer auto-centric) as well as those of the global South. On top of this, adding to the instability is the decline of U.S. economic hegemony, promising increasing global-scale conflict between descending and ascending capitalist powers in a global thermonuclear age. Some thinkers point out that though Marx and Engels were close, both personally and intellectually, they differed in their epistemological edifice. They point out that Engels was more positivist in approach, and so differed from Marx. How do you look at their intellectual world? Marx and Engels were, of course, close collaborators in all their adult lives. They had different abilities. Marx was obviously a more penetrating thinker, who saw deeper and further, as Engels himself noted. But Engels, too, was an extraordinarily brilliant theorist and writer to whom we need to give more attention today. Without him it is doubtful that Marx would have had anywhere near the influence that he attained. It is absurd in my mind to associate Engels with positivism. And a Marx stripped of and purified of his association with Engels—and of all the ideas they shared—becomes only a shadow of him. Terrell Carver, who has made a career of separating Engels from Marx, has actually gone so far as to claim that Marx himself was a “liberal”. All of this is absurd. I recently wrote a piece called “The Return of Engels” (published in the March 2017 Monthly Review), in which I argued that today we need many of Engels’ insights particularly with respect to the dialectics of ecology. The mistakes made by Marxism in its later years cannot be reasonably attributed to Engels, as some have tried to do. When Lenin was formulating his theory of imperialism in the 20th century, colonialism, interimperialist war, and so on, were acute in character. But today we don’t have colonialism where a country directly controls another country; and a world war is not on the horizon. Has the concept of imperialism become obsolete as claimed by people like Antonio Negri? If it hasn’t become obsolete, then how does it work? What is its nature? Obviously, a lot has changed in the century or so since Lenin wrote Imperialism, the Highest Stage of Capitalism, but his work still remains an important guide to the present. It is true that when Lenin wrote, political colonies still existed in much of the world. But he wrote of neo-colonies or dependencies in the context of Latin America where informal imperialism existed under U.S. hegemony within the region. Economically, his analysis focused on the rise of giant industrial and financial capital and the connection of this to the geopolitical struggle for hegemony of the world. He defined imperialism “in its briefest possible definition” as the “monopoly stage of capitalism.” He wrote of hegemonic transitions for control of the world. He developed a multidimensional theory of imperialism focusing simultaneously on factors such as control of the world’s strategic raw materials, export of capital, expropriation of surplus, international finance, geopolitical struggle and war. All of this is relevant today. Imperialism today is taking new forms. Nevertheless, international expropriation of the surplus from the Global South has not ceased and is being carried out by multinational corporations (what Amin calls generalized monopolies) based largely in the center, and able to exploit the global labor arbitrage, leveraging their entrenched positions in the wealthiest countries and the monopolies of finance and technology. In terms of whether world war is on the horizon I tend to look at it in terms of István Mészáros’ contention that we are faced with the “potentially deadliest phase of imperialism”. The U.S. is still the hegemonic power in terms of its military, finance, and technology, but not in production as such today, and its relative economic power is ebbing. Along with all of these other elements, U.S. geopolitical strategy in what Richard Haass, president of the Council on Foreign Relations, has called the “Thirty Years War” is designed to gain so much power over strategic regions such as the Middle East [West Asia] and parts of Eastern Europe and Central Asia, moving into the vacuum created by the disappearance of the USSR from the world stage, that it is able to so entrench itself as to ensure a unipolar world—or a dominant U.S. empire for decades to come. Washington has reinforced this strategy by building up the Triad of the United States/Canada, Europe and Japan in what is sometimes called a “sheriff and posse” strategy for world control. None of this, however, changes the fact that the hegemony of the U.S. and that of the Triad as a whole is in question since the U.S., Europe and Japan are all experiencing deepening stagnation and a decline in their relative economic positions. The main reason that this should concern us is that all periods of hegemonic instability have led to world war, while a world war today would be a global thermonuclear war. What is undeniable is that the U.S. and NATO [North Atlantic Treaty Organization] as a whole have been resurrecting a New Cold War in Europe while increasingly threatening China. In these overall global circumstances, the views that Lenin presented are unfortunately more and more relevant. The worst thing we could do then is to adopt a view of equanimity. In U.S. strategic circles (I know this from my own academic training in international political economy and international relation theory), they still study Lenin’s Imperialism. Jipson John and Jitheesh P.M. are associated with People’s Archive of Rural India (PARI) and contribute to various regional (Malayalam), national and international publications, including The Indian Express , The Wire and Monthly Review. Their writings have been republished in various international publications across the world. The latest published work is a long interview with the renowned historian Irfan Habib. The writers can be reached at jipsonjohn10@gmail.com and ji3297@gmail.com.